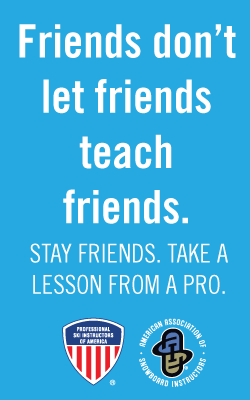 The Professional Ski Instructors of America – American Association of Snowboard Instructors (PSIA-AASI) is a nonprofit education association dedicated to promoting the sports of skiing and snowboarding through instruction. With more than 31,500 members, PSIA-AASI establishes certification standards for snowsports instructors and develops education materials to be used as the core components of instructor training. 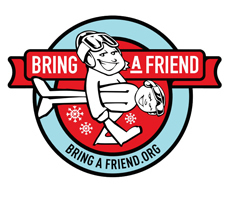 With its large membership base, PSIA-AASI is a significant grassroots organization whose members spend more time with the skiing and snowboarding public than any other ski area employee. PSIA-AASI supports area management through research and development of instructional programs in alpine skiing, snowboarding, nordic skiing, and adaptive skiing and snowboarding. The association also develops educational materials and programs to serve specific ski and snowboard demographics, such as children. PSIA has evolved into a sophisticated and influential entity since its fledgling beginnings more than 50 years ago. The early days of ski instruction in the United States were typified by a variety of programs and techniques, many of which were brought to this country by European ski instructors. Teaching principles varied across the country as did the process of instructor certification—bestowed in those early years by an assortment of regional associations. Initially there was no set of standards for what was taught. Instructors could choose to teach Austrian, French, or Swiss methods, to name just a few. That, plus the fact that the certification standards were so different from one part of the country to another, was what drove the formation of a national organization for ski instruction.